“Monumentalizing Moscow: War Memorial Politics in the Soviet Capital"
"The Ultimate Cossack Sacrifice? Laying Down One's Identity for the Fatherland"
"VSKhSON, the All-Russian Social Christian Union for the Liberation of the People: Sketch of an Anomaly or Portrait of the Emerging Dissident Right"
"Afrika’s Crimania Language, Collecting and Identity"
"Songs of Russians Abroad: ‘Stand by Your Man’ or ‘On the Hills of Manchuria"
“The Pushkin Centennials of 1937: Russia Abroad, the Soviet Union, and the Politics of Russian National Identity." “Nationalism is for small peoples who fear extinction. The Russians are a great people [. . .] Russia speaks like Christ used to speak: come to me and share my spirit” (Kunaev in Neumann, 1996: 197) As this quote can be seen to illustrate, the study of the Russian national idea can be understood as the study of Russian messianism. Based in the field of international relations but drawing on insights about the politics of collective identity formation from various fields of social theory, this paper offers a new conceptualisation and contextualisation of the heavily stereotyped notion of Russian messianism. It is defined as a discursive framework holding a range of discourses and narratives, in which Russian collective identity has been contested, constructed and reproduced for centuries. Russian messianic discourses vary from imperialist and Eurasianist ideologies to ‘Holy Rus’ isolationism and themes of sacrifice, to occultist spirituality and anti-Semitism, but are all defined by exceptionalism, missionism and a perennial dichotomy defining Russia in ambiguous, conflicting relation to ‘the West’, accompanied by various binary couples such as spiritual-materialistic, natural-artificial, collectivist-individualist which function as to construct the image of a coherent Russian identity. The paper will provide an outline of the increasingly unified and anti-Western post-Soviet Russian messianism and will explore a number of its new or revamped themes and signifiers such as ‘Eurasia’, ‘globalization’ and the ‘clash of civilizations’; enquire into the politics behind the inclusion or exclusion of certain of these in official political discourse; and explore their resonance among ordinary Russians on the basis of the analysis of semi-structured interviews with a diverse sample of semi-elite and ordinary Russians. During the Soviet time, it was typical of the new Soviet leader to differentiate himself from his predecessors in order to stabilize his power. That was also one of the reasons for the large number of constitutions. New Soviet leaders presented their political agendas in the terms of the constitution. In the post-Soviet period this composition has changed. The aim of this paper is to investigate with the methods of the conceptual history the transformation of the constitutional concepts in Russia. My target is to show that this history is more multifaceted and more of a political project than it has usually been presented. I also wish to discuss the traditional continuities and political differences between the constitutions and party programs adopted in Russia/ the Soviet Union and to interconnect President Putin’s political era with the textual base of the previous constitutions and their political backgrounds. I’ll show in this paper that Stalin’s time was a watershed in the Soviet constitutional and political development, which was very well seen also in the concepts and vocabularies. Stalin’s Soviet state was a project which started to invalidate the ideology of the 1917 revolution, justifying the Soviet state and creating the absolute state. Thus, in Stalin’s constitutional project, there was no longer a need for fine rhetorical distinctions between different “unions”, which were very important elements in the 1918 and 1924 constitutions legitimating the single state and the special duties of the classes. Stalin’s constitutional project was meant to be more like an administrative model. The concept of the state took over from all ideological structures. As Stalin’s concept of the state concerned the institutionalized relationship between the state and the soviet people, the problem for his successors became how to maintain the maximally expanded, ideological class-based state and the concept of soviet citizenship in a situation where there was no maximal control apparatus. 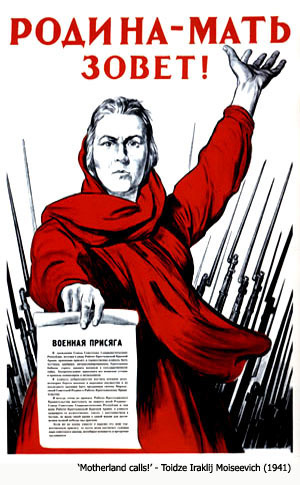 I argue that after Stalin’s period, it became difficult to reuse and reconnect the constitutional concepts, which were related to the revolution, as new interpretations. The central problem was how to maintain Stalin’s administrative rhetoric and his connection with the soviet people, as well as Stalin’s class-based justifications in the concepts of the state and the nation, in a situation where Stalin’s control apparatus no longer existed. The outcome of this process was the introduction of the concepts which emphasized people’s participation and representation for example the concepts “all people’s state” and “all people’s party”. They were some kind of pre-perestroika concepts, which radically changed the “original” Marxist-Leninist concepts based on revolution and state. I argue in this article that the change in the concepts which started already during so-called destalinization was important element for the destruction of socialism in the Soviet Union. Alexander Herzen (1812-1870) is often ranked as the pre-eminent figure of 19th century Russian intelligentsia and the father of Russian socialism, and a central figure in the debate which raged throughout the 19th century over what it meant, and should mean, to be Russian. Herzen’s doctrine of social solidarity was as much based on European influences as it was on his passionate loyalty to the values and sentiments of his homeland. He was an acolyte of early 19th century French utopian theory, including that ofCharles Fourier, and most particularly that centred around the École Polytechnique and the writings of Saint-Simon. These schools of thought profoundly influenced Herzen’s views on a radical reordering of the social structure in Russia. The traditional doctrine of solidarity and loyalty to tsar, church, and nation was to be replaced by a call not only for political change, but a thorough restructuring of the social framework, from class to economics, from politics to gender. The very underpinnings of Russian identity and were open to challenge. My paper will explore the influences of these seminal doctrines in French and English thought on Herzen, and the way in which he adapted them for the Russian environment and sensibilities, and, by so doing, produced a powerful and influential doctrine of social and cultural bonds, a new outline of solidarities and loyalties, and a profound understanding of individual rights and liberties, all of which combined to form a strongly individuated and enlightened personal identity while arguing for a bold national conception based on old sentiments and new ideas. "Monumentalizing Moscow: War Memorial Politics in the Soviet Capital"
In his definitive account of the final days of the Soviet Union, writer and journalist David Remnick noted, “Of all the major events in Soviet history since 1917, the one that was preserved the longest as an unquestionable victory of the regime was the Great Patriotic War against Nazi Germany.” Indeed, in an attempt to garner greater support and enthusiasm for the increasingly ineffectual Soviet leadership, political elites in the 1960s and 70s promoted the construction of an official cult of the Second World War. However, despite increased scholarly attention on collective memory and war commemoration in other parts of Europe, the precise function and political development of the Soviet myth of the war remains a woefully understudied area of Russian and European history. Specifically, my paper will attempt to place the era of the “full-blown cult” of the war, beginning in the 1960s, within the broader context of official European war remembrance, and will then examine political discussions behind the construction of the cult’s most indelible feature: war memorials. In addition, my paper will highlight the degree to which “elite conversations” emphasized the importance of Russian, as opposed to Soviet, national symbolism in war commemoration in and around the capital. As an important focal point for the expression of both Russian and Soviet identities, Moscow provides a particularly interesting lens through which to examine this process. Unlike other major Soviet cities during the cult of the war, there was an almost deafening paucity of major war memorial complexes constructed in Moscow. My paper will argue that this was partly the result of the elite community’s inability to conceive of a major Soviet memorial in Moscow without a reliance on traditional Russian imagery. This paper examines the role of cultural memory, a concept most commonly associated with the work of Maurice Halbwachs (La memoire collective, 1950), in fostering feelings of local identity and pride among inhabitants of provincial Russian towns. Specifically, it considers how shifting public representations of the past in the post-1961 period – for example, the restoration and destruction of monuments to the local past, the commemoration of the past in tourist guides and other historical publications, and the celebration of local festivals – have shaped the self-perceptions of local communities, and contributed to a sense of cultural particularism in Russia’s provinces. This paper considers the way in which the growing interest in local history and culture in the post-1961 period constituted part of a more general reorientation of intellectual attitudes, a development that has been referred to as the “culturalist” movement in the humanities. It considers how this trend, which was characterised by a renewed intellectual interest in Russia’s pre-revolutionary past, archaeology, and the history of Russian art (recognisable themes in the writing of Vladimir Soloukhin and Dmitry Likhachev, among others), manifested itself in the Medieval towns of Novgorod, Pskov, and Vologda. This paper examines how the re-evaluation of local historical myths and legends, such as that of Vadim of Novgorod, has informed local stereotypes, and shaped the public narratives of the towns. It also considers how architectural monuments have come to have important ideational significance for residents, how local places have become infused with local mythology, and vice versa. Finally, this paper scrutinises the disingenuous use of local myths and motifs for political advantage, particularly in the periods of political transition, and attempts to evaluate the credibility and consequences of such strategies. The first quarter of the twentieth century is a much frequented period in Russian historical and cultural study – for understandable reasons. In almost every sphere – political, social, cultural – the emphasis is on radical change and innovation, culminating in the events of 1917. High-octane history always tends to dominate. But there is another approach to the period, one that focuses on questions of continuity, of resistance to change, or at least change allied to continuity. For a group of artists and intellectuals in the early 1900s the symbol of this tendency became the city of St Petersburg itself – as repository of certain key cultural values bound up in nostalgia for the past and fears/hopes for the future. What started as a journalistic campaign to spur the authorities into safeguarding Petersburg’s neoclassical architecture developed into something of far greater significance: a battle for the cultural direction of the country allied to a subtly different interpretation of nationalism. By consistently emphasising Petersburg’s intrinsic Russianness (architecture tempered by topography; Russian culture within a classical-European framework), these retrospectivists (as Aleksandr Benois and others were already termed as early as 1909) skilfully negated the idea of Peter’s city as inimical to ideas of Russian nationhood. This ‘quieter’ aspect of the cultural history of the period can also be traced in the essentially nostalgic representations of the city by the miriskusniki – a counterpoint to the radical innovations of the avant-garde; and in certain literary parallels (most notably the Acmeists’ preoccupation with Petersburg). My presentation would look at these various aspects of the retrospective impulse in an attempt to draw some conclusions as to the enduring significance of this Petersburg-centric vision for Russian culture through the revolution and beyond. This paper will explore how the Russian state has been instantiated through its invocation and signification during an ongoing 'crisis' presented by a group of Russian Orthodox Christians, who have absconded to a cave in the Penza Oblast and are waiting for the impending Armageddon. There is a large anthropological literature on millenarian movements, but rather than mapping a body of literature onto a similar phenomenon in a disparate context to look for an affinity, the paper will argue that what is equally worthy of investigation is the constitutive discourse itself. This arguably is a strategic move forced by the inability to see for oneself, but the anthropologist's absence can also be to his/her advantage (Tsing 2000). It can be argued that, especially in this case, there is nothing beyond the discourse. This is demonstrated dramatically by the absence in the media reports of a single enunciation that can be attributed to the cave-dwellers themselves. Rather, everything is reported and re-reported in a self-referential relay of indirect reported speech and rumour. The Russian Orthodox Church has become increasingly linked to the Russian state in the early 21st Century. The history of Christianity is replete with instances of counter-conducts, such as mysticism and eschatological beliefs, precipitated by the institutionalization of state religions. Following Foucault, the paper will argue that power emerges as the correlative to an originary act of resistance. The paper will explore how the Russian state has been given, through this image of resistance to governmentality in Penza, an object upon which its paranoiac gaze can reflect and confirm itself, and how in the wider context, the imaginary of the True Russian Orthodox Church can provide a means by which the state may be brought to grow from within. The Cossack is one of the stock figures of the Russian imagination, with well-established, widely accepted topoi. Although this mythical Cossack abounds in contradictions, he – for he is undoubtedly male – has occasionally been mobilised in support of Official Nationalism when Russian identity is felt to require bolstering. Drawing on the experience of the Kuban' Cossack national movement, the main argument of this presentation will be that this Russian nationalist mobilisation comes at the expense of those who identify themselves as Cossacks. This tendency is particularly marked in the 20th century: Cossack mythology speaks of repressive measures in the 1920s and 30s, only for the exigencies of impending war to require a certain, conditional restoration of Cossack imagery. Post-war, Cossack identity was narrowly restricted to ethnographic displays on stage or in museums. Following the collapse of the Soviet Union, ethnic Russian identity was weak and contradictory; the Cossack revival in the Kuban' partially resolved some of these issues. Subsequently, Kuban' Cossack imagery was deployed by Vladimir Putin's administration as part of its evocations of gosudarstvennost' and samoderzhavnost'. The Cossack national movement now risks complete sublimation as the main organisation within it seems set to concentrate on patriotic Russian education and preparation for military service, leaving the promotion of Cossack ethnocultural values in a distant third place. The already relatively low proportion of Cossack descendants within this organisation seem increasingly disenchanted. While the two movements may seem complementary at first glance, newly assertive Russian official nationalism may in fact sound the death knell for the Cossack revival, at least on the Kuban', by co-opting Cossack imagery to bolster Russian identity at the expense of the differences between the two groups. Russian political thinker and, by his own words, geopolitician, Aleksandr Dugin, represents a comparatively new trend in the radical Russian nationalist thought. If, by the beginning of the 1990s, there were only two major nationalist trends, namely those of Christian Orthodox/monarchist and Soviet nationalist, in the course of the 1990s, Dugin introduced his own perspective that was called Neo-Eurasianism. Despite the supposed reference to the interwar political movement of Eurasianists that sprang up in the Russian emigre community, Dugin's Neo-Eurasian nationalism was rooted in the political and cultural philosophy of the French and Italian New Right. Dugin's Neo-Eurasianism is based on a quasi-geopolitical theory that juxtaposes the 'Atlanticist New World Order' (principally the US and the UK) against the Russia-oriented 'New Eurasian Order'. According to Dugin, the 'Atlanticist Order' is a homogenizing force that dilutes national and cultural diversity that is a core value for Eurasia. Taken for granted, Eurasia is perceived to suffer from a 'severe ethnic, biological and spiritual' crisis and is to undergo an 'organic cultural-ethnic process' under the leadership of Russia that will secure the preservation of Eurasian nations and their cultural traditions. Neo-Eurasianism, sacralized by Dugin and his followers in the form of a political religion, provides a clear break from narrow nationalism toward the New Right ethopluralist – though still Russia-oriented – model. Many Neo-Eurasian themes find a broad response among Russian high-ranking politicians, philosophers, scores of university students, as well as numerous avant-garde artists and musicians. Already by the end of the 1990s, Neo-Eurasianism took on a respectable, academic guise and was drawn in to 'scientifically' support some anti-American and anti-British rhetoric of the Russian government. The breakup of the USSR, the establishment of an independent Russia, and the deteriorating economic situation caused Russian intellectual elites to engage in debates over the Russian national idea, Russia’s vision of itself and the world. Various perceptions of this newly defined Russian national idea ranged from an outright rejection of Russia’s (super)power status and pro-Western orientations to revisionist, irredentist and imperialist geopolitical aspirations. However, since the beginning of the economic recovery, and especially during the Putin era, we witness an unprecedented increase in the amount of nationalists, anti-Western, and anti-liberal publications. Moreover, these notions of Russian history and national identity stop being perceived as marginal and gain and increasing prominence in the Russian intellectual landscape. How Russian nationalists view their history, polity, and the world? How they define Russian national idea in the post-Soviet times? What are their goals? What arguments they use? Whom they see as their intellectual predecessors? Our paper tries to answer these question by analyzing a large corpus of Russian anti-liberals’ academic and media publications and internet blogs. This work uses as it basis Yitzhak M. Brudny, Reinventing Russia: Russian Nationalism and the Soviet State, 1953-1991 (Harvard UP, 1999). It essentially extends the study of Russian nationalism into the post-communist period. One of our main finding is that in the post-communist period, Russian nationalist intellectuals (starting with Dugin in the early 1990s but going far beyond him) rejected traditional Soviet and pre-Soviet bases of Russian nationalist ideology and increasingly turning to the ideology of European radical right, including fascism, in order to develop new post-soviet ideology of Russian nationalism. From a literary and historical perspective, there are fascinating parallels to be observed between the group of underground poets who frequented the “Religious- Philosophical Seminar” in the 1970s and the Religious-Philosophical Assemblies organised by the Symbolist poets Dmitrii Merezhkovskii and Zinaida Gippius at the beginning of the 20th century. The Religious-Philosophical Seminar, also known as Group “37” after their self-published journal, included Viktor Krivulin, Sergei Stratanovskii, Elena Shvarts, Oleg Okhapkin. A keen interest in religious questions and a fascination with the Russian cultural heritage of the Silver Age were common among Soviet intellectuals of the 1970s. But while interest in Orthodoxy was usually tinged with nationalist ideas, the members of the Group “37” went both in a different direction and further than others. Their quasi-identification of religion, culture, and creativity, which was not oriented towards Church dogma, bore more than a distinct resemblance to the literary aims the Symbolists set out to achieve. The same can be said for the group members’ endeavours to facilitate contact between intellectuals and representatives of the Church through the seminar. And just like the Symbolists around Merezhkovskii, who published “Novyi Put’”, the Group “37” set up a journal to showcase the proceedings of the seminar and the poetry of its members. Most importantly, nostalgia for the Silver Age, or rather, the feeling that in order to pick up the severed threads of history it was necessary to start where their predecessors had been forced to stop, shaped the poetic output of the Group “37”’members. Their poetry engaged with the heritage of modernism in form and subject matter, at the same time permeated by a sharp feeling of inferiority towards their predecessors. Following the death of the vozhd' in 1953 and the Twentieth Party Congress in 1956, the dissident segment of the Soviet intelligentsia, along with the rest of Soviet society, was faced with the need to re-evaluate the Stalinist era. These monumental events sparked considerable debate not only about the “crimes” that Stalin had committed, but about the very nature of national and individual identity. One reaction among some members of the intelligentsia was to turn to traditional and religious forms of identity as an alternative. One of the most fascinating actors in the dissident movement of the 1960s, wrestling with the issues of identity and nationalism, was the All-Russian Social-Christian Union for the Liberation of the People, or in its Russian acronym, VSKhSON. VSKhSON was, so far as can be established, the largest underground revolutionary organization to emerge in the Soviet Union of the 1960s. This clandestine group of intellectuals, formed in Leningrad in 1964, consisted of some seventy known members, and was dedicated to staging an armed insurrection against the Soviet state. Its objective was to establish an order based on traditional values and on the Russian Orthodox religion. The ideology of the members of VSKhSON was called “Social Christianity”, which represented the projection of Christian ethics on a reformed social and economical structure of Soviet society. VSKhSON’s members stood for the abolition of Soviet totalitarianism and the resurrection of the individual. This study argues that VSKhSON’s ideology did not develop in a vacuum but instead was part of a greater Russian intellectual tradition. Furthermore, it demonstrates that VSKhSON reflected political and cultural trends prevalent at the end of the Khrushchev era. It follows that the group and its ideology constituted a critical link between the nineteenth-century Slavophile movement, the early twentieth-century nationalism of the Black Hundred, and a harbinger of the development of the dissident Right in the 1970s, therefore influencing the evolution of the modern Russian nationalist movement. "Afrika’s Crimania: Language, Collecting and Identity"
Just after the collapse of the Soviet Union, Russian artist Sergei Bugaev (Afrika) complained of a depression resulting from the loss of his Soviet identity, and committed himself to a mental institution in Simferopol, Crimea, for three weeks, as part of an artistic performance called Crimania. During his time there, he interacted with the other patients as if he were one of them, and only five of the staff of the hospital knew the true purpose of his visit. Afrika’s obsessive collecting of pieces of cultural nostalgia, such as busts of Lenin and Stalin, Soviet banners, medals and trophies, became the focus of his study while he was in hospital. He aimed to discover how his collecting of these objects could be put to use to heal the nation’s collective wound, brought on by the collapse of an empire. The artist treated these objects as part of a shared cultural language that could be developed into a new one, a foundation on which a new national identity could be built. My paper will examine Crimania as an attempt by the artist to reconcile the symbols and language of the Soviet past with a future that was yet uncertain at the time of the project. I will explore how Afrika’s stay in a mental institution and his use of collected objects help the artist to negotiate the exchange of a collective Soviet identity for an individual Russian one. Furthermore I will consider and analyse the language of aphasia (nonsense language) that developed in Afrika’s work following the performance and demonstrate how it was symptomatic of the Russian state at the time. I also discuss how the artist considers the aphasia to be an important step toward the redevelopment of a new Russian national cultural identity out of the ashes of the old. In recent years, partly because of the influence of post-colonial theory, historical studies on nationalism have increasingly emphasised the interrelations between concepts of national identity and gender-discourses. Gogol’s St. Petersburg stories are particularly interesting with respect to the interactions between nationalist and gender discourses, but have not been analysed in this context yet. These stories take up the traditional image of St. Petersburg as a decadent, Westernized city where Russian values have been destroyed by harmful European influences, and they attempt to represent the critical situation of Russia’s national consciousness by means of male and female characters which are heavily informed by well-established clichés about the masculine and feminine aspects of the Russian soul. In my talk, I will analyse the way in which Gogol uses gender clichés and elements of nationalist discourses in constructing his own vision of Russia’s true identity and the dangers threatening its authentic realisation. The focus of my paper will be on the story Diary of a Madman. The diary entries of the story’s protagonist, Popriscin, which have often been discarded as nonsensical and chaotic, are in fact laden with arguments, clichés and stereotypes referring to contemporary debates on Russia’s identity and its relationship to Western Europe; they also contain some very precise allusions to these debates. The characters who play major roles in Popriscin’s story are a senior official, obviously representing a father-figure, a young and frivolous woman and, finally, Mother Russia, to whom Popriscin eventually turns in a phantasmagorical vision. Combining approaches of cultural history, literary studies and gender theory, my paper will attempt to situate Gogol’s text in the 19th century controversies surrounding the issues of national identity and gender differences. In the immediate post-Soviet era, the Russian book market was inundated with translations of best-selling, foreign detective novels. Needless to say, there was a notable backlash against this Western invasion. Russian writers soon proved that they could write a crime novel just as well as the Westerners, and Russian readers preferred to read about murders in the backstreets of Moscow rather than in faraway Los Angeles. In an attempt to identify a change in Russian ideas about national identity, this paper will compare the recent best-selling retro-detective novels by Boris Akunin with the traditional, hard-boiled detective novels favoured in the mid-1990s. I will argue that earlier depictions of national identity are no longer appropriate in the post-Soviet era and Russian national identity is being pushed in a different direction by the country’s most popular contemporary authors. Further, in order to explore the relatively new phenomenon of detective fiction that is being written for women, I intend to examine Aleksandra Marinina’s novels and attempt to evaluate the way in which female identity is contributing to a wider understanding of Russian national identity. This paper will conclude that the contemporary Russian detective novel is attempting to offer an alternative understanding of national identity that is not so confrontational with the West whilst maintaining a sense of distinction between Russian and European identities. This paper explores the writing/righting of space in Russia. Using the North Caucasus region as a case study around which to construct my analysis, I argue that geography is most conspicuously a problematic concerning the occupation and control of territorial space. And that geography in Russia has been used as a tool to underpin nationalist discourse. By investigating regional politico-administrative discourses, I question contemporary understandings of territorial space. I do so by critically assessing maps - an important and much under-studied part of the power-knowledge nexus - and by directing attention to the historical processes through which the North Caucasus came to have an existence, that is, to the processes through which regional ‘space’ was written in the history of Russian state apparatus. I question the geopolitical discourses embedded in maps of the North Caucasus to examine the history of the visualisation of regional space as it unfolded in the history of Russian state apparatus. In the debate surrounding Russian nationalism, one trend which has yet to attract the attention which it deserves is the growing dependency of Russian governments to visualise society and thus project to society ‘Russian’ territory. Yet it is precisely the capability of society to visualise regional space which made the efficient and rational functioning of the Russian state apparatus possible in the first place. There are two main points to be highlighted by my paper. First, I address the importance of cartography as a mechanism through which to create and reinforce nationalism. Second, from a geopolitical perspective an optically consistent knowledge holds a dual importance of being simultaneously fixed as a representational form and movable across territory as inscribed on paper. The importance of this ‘abstract space’ to the scientific rationalisation of the Chechen wars - and the resultant strengthening of Russian nationalism - in the last ten years can hardly be exaggerated. "Songs of Russians Abroad: ‘Stand by Your Man’ or ‘On the Hills of Manchuria’"
The paper examines two songs from two contrasting films by discussing different national(istic) discourses of Russians abroad. In Postmark Paradise (2000), the Russian bride-to-order, Viktoria, sings Tammy Wynette’s disputed country and western song as her farewell and, in equal part, her promise of return to the men of the small town Paradise, Michigan. In Urga (1991), with the song tattooed on his back, the displaced Russian truck driver, Sergei, sings ‘On the Hills of Manchuria’ that symbolises Imperial Russia’s defeat in the Russo-Japanese war. The context of Sergei’s song in the Northeast of China could not be more distant from Viktoria’s in the US. However, the paper aims at contextualise both songs within a postcolonial perspective, which aims at relocating the songs’ ideological meaning. Each film/song has a national addressee, a ‘Western’ audience in the case of Postmark Paradise and with Urga a ‘Russian’ audience, who forms the content of the performance. Both songs suggestion a post-Soviet shift in the portrayal of Russians abroad, where the male is infused with national(istic) ideology and the female with issues of transnational labour migration. These are different (national) discourses, but equally measurable in the disappearance of the Soviet Union and a socialist alternative to forces of globalisation. By making a comparison of the two songs, the paper will draw on the writings of Robert Stam and Ella Shohat, who through the terms Eurocentrism and the postcolonial are able to critique the idea of the national as at odds with itself. With the films located somewhere between national cinemas and global Hollywood, the paper will analyse the on screen performances of these songs according to their identification and remembrance within the problematical targeted audiences of these two films. In 1937, the Soviet Union organized a yearlong celebration of the poet Alexander Pushkin to commemorate the hundredth anniversary of his death. At the same time, the Russian emigration – or Russia Abroad, as it called itself – staged its own Pushkin Jubilee, bringing together émigrés from all walks of life and from all over the world. This paper looks at these celebrations side by side, arguing that they were designed to respond to one another. While they depicted the poet in starkly different ways, both Russia Abroad and the USSR sought to present themselves as the heirs of Pushkin. They drew on the poet’s longstanding role as the symbol of Russian national identity in order to stake a claim to represent the real Russia. A cultural celebration thus turned into a bitter political struggle, an attempt by both sides to reaffirm their legitimacy and to define “Russianness.” This paper explores the interactions between nationalism, politics, and culture in an international setting. It analyzes the rhetoric of the two Pushkin celebrations, comparing the émigré and the Soviet visions of the Russian national idea. It then demonstrates how these visions became weapons of a political conflict played out across Europe. I examine three cases of direct interaction between Soviet and émigré festivities – London, Paris, and Prague – and argue that a cultural articulation of Russian national identity was an important way for both sides to win Western support. In this way a shared culture both promoted competing versions of Russian nationalism and came to be redefined by them. The paper concludes by evaluating the effects of the two Pushkin Centennials as well as their legacy. Can the Soviet and émigré visions of Russianness ever be reconciled, and what does this mean for our understanding of the Russian national idea. "The Supernatural & the Representation of Russian Reality in the Works of Russian Émigré Authors"
My aim is to explore how émigré Russian authors, necessarily alienated from the Soviet re-invention of nationality, used ghosts to convey their personal representations of Russian reality. These spectres might function positively, as visions of an ideal Russia, or negatively, as revengeful or reproachful spirits. This paper will look at ghost stories by four writers from the period 1920-1950. Two of these writers describe impalpable, private phantoms which evoke unjust acts committed during the Civil War. The narrator of Gaito Gazdanov’s novel Prizrak Aleksandra Volffa (1947) is forced to kill his spectre twice, first shortly before fleeing from Russia, and once again in Paris to protect his lover. Mikhail Bulgakov, a would-be émigré, in his play Beg (1926) describes the suicide of a White officer constantly haunted an orderly whom he had unjustly sentenced to death. Pavel Perov’s novel Bratsvo Viia (1925) describes a ring of corrupt scientists in the pay of evil Bolshevik conspirators. By re-animating corpses with real ‘dead souls’, and controlling them with electric impulses, they plan to take over the world. Fortunately, a brave American journalist, a Russian ex-officer and his Cossack orderly return from emigration to the Civil War-torn Soviet Union to foil the evil scientists and vanquish their Gogolian golems. In P. N. Krasnov’s novel Za chertopolokhom (1922), a ghost also motivates a return to Russia, under radically different circumstances. Russia has been utterly devastated by civil war and plague: a great black spot has replaced her on the map of the world. A few nostalgic émigrés live on in foreign capitals, clinging to the remnants of their culture. When the hero repeatedly sees visions of a beautiful female phantom, imploring him in Russian to return to his native country, he leads an expedition into the former state and discovers an ideally harmonious empire, where paternalistic, eighteenth-century moral and social values have been re-instituted and Communism has been expunged. Whether used to satirize the Bolsheviks, expose forgotten crimes or suggest alternative national ideals, I argue that the emotional immediacy and transparent symbolism of ghosts offers émigré writers the chance to summon – or to exorcise – their own conceptions of Russian identity. 1910 to 1925 was, roughly, the period when British attitudes towards Russia changed dramatically from condescension and mistrust towards an ‘uncivilized’ political enemy, to admiration of Russian art and laudatory fantasies about the ‘soul’ of Russian people. As Dorothy Brewster observes, in the early 1900s, British Russophiles, such as Maurice Baring, Stephen Graham, and John William Mackail, came to believe that their country was in need of ‘spiritual aid from Russia to help redeem her from commercialism and materialism’. In his 1912 book "Undiscovered Russia", Graham wrote: ‘Russia … is a woman-nation. … Because of her holiness and simplicity we may be worldly wise and live in towns. She gives us bread, and gives us prayers. … Russia … is a church, a holy place where the Western may smooth out a ruffled mind and look upon the beauty of life’. The Russian ‘soul’ and Russian national character became a fashionable topic among British intellectuals of the time, and were repeatedly discussed in reviews of Russian art and literature. In her 1917 essay on the Russian writer Sergei Aksakov, Virginia Woolf argues that ‘fits and ecstasies’ are imbedded ‘in the Russian nature’. In her 1918 review of Russian short stories, she quotes from an introduction by Charles Hagbert Wright, librarian and specialist in Russian literature: ‘Deep sadness is typical of the Russian people. Whether or not they are more sad than other people, it is certain that they never attempt to conceal their sadness’. This paper will look at how British reviewers of Russian literature were influenced in their idea of Russian national character by the works of British Russophiles. It will also explore how British Russophiles, in turn, were influenced by those Russian authors who migrated to England in the late nineteenth and early twentieth centuries and found their calling in explaining Russia to their new compatriots. Among those Russian émigrés were Prince Petr Kropotkin, author of "Ideals and Realities in Russian Literature" (1905), the literary critic Prince D.S. Mirsky, the artist Boris Anrep, and Nadine Jarintzov, a.k.a. Nadezhda Zharintseva (1870 – the date of death unknown), the author of several works on Russian language and literature, including "Russia: "The Country of Extremes" (1914) and "The Russians and Their Language" (1916).